I am not scared of making substitutions in recipes. That might be either a good or bad thing, I’m not sure. 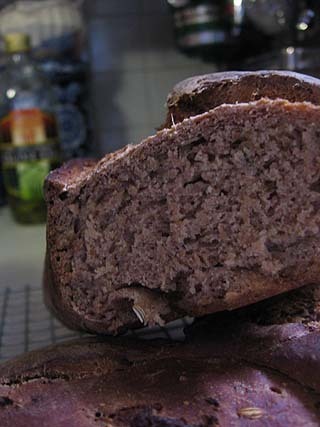 For instance, the original recipe here called for bread flour and rye flour. What did I use? AP flour and wheat flour. Eh, why not?! Anyway, I was pretty pleased with the results. This bread is very good but it is also very dense. I typically read the reviews on Epicurious before I make something, but I was so excited by the combination of figs and fennel seeds, that I forgot to this time. I wish I had as I would have known to let it rise much longer. One review said 3 hours on the first rise, others suggested letting it go overnight. Others said to let it rise in the loaf forms in the fridge overnight. All super good suggestions. At one and a half hours mine barely made it to double the size for the first rise. But, I shrugged and kept going. Second rise gave it only a bit more volume, but in the name of science (science, people! ), I carried on. The result? A nice chewy crust a few minutes out of the oven. Slightly sweet and slightly savory taste. Great slathered with some goat cheese. I think this is one of those recipes that I will definitely make again and tweak a bit. I like using wheat flour but I might get bread flour for next time. And I will definitely give it 3 hours on the first rise and maybe rise the loaves in the fridge overnight before baking. If you make this and try any of these suggestions, let me know how it works out for you! 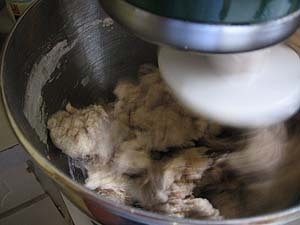 Mix 1 1/4 cups warm water, sugar, and yeast in small bowl. Let stand until mixture bubbles, about 10 minutes. 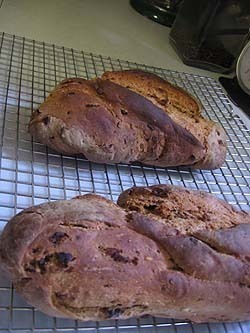 Combine bread (or AP) flour, 3/4 cup figs, rye or wheat flour, fennel seeds, and salt in large bowl of heavy-duty mixer fitted with paddle attachment. 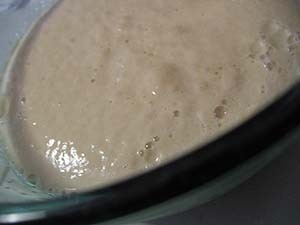 Mix using lowest speed; gradually add yeast mixture, mixing until all flour has been incorporated (or to mix by hand, stir vigorously with wooden spoon until dough comes together). Replace paddle with dough hook and knead until smooth and elastic (or to knead by hand, transfer dough to floured work surface and knead until smooth and elastic, about 5 minutes). 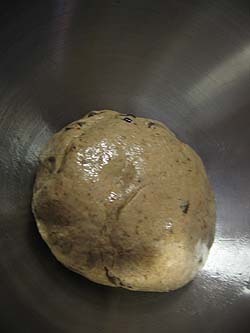 Place dough in oiled bowl; turn to coat. Cover with plastic wrap, then kitchen towel and let dough rise in warm draft-free area until doubled in volume, about 1 hour. (I let mine go for 90 minutes but you may want to give it more time). Turn dough out onto work surface and knead gently until deflated. 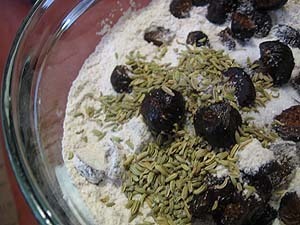 Knead in remaining 3/4 cup figs. 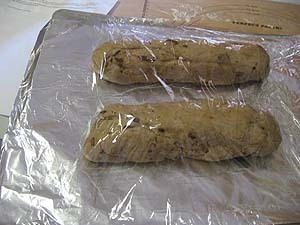 Cut dough in half; shape each piece into 12-inch-long loaf. 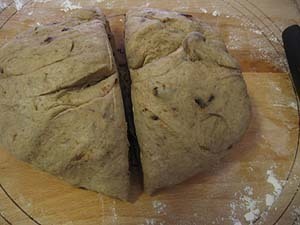 Brush rimmed baking sheet with oil; transfer loaves to sheet, spacing apart. Cover with plastic, then kitchen towel; let rise in warm draft-free area until almost doubled in volume, about 35 minutes. Again, you may want to modify this with a longer time. Preheat oven to 375F. Bake bread until crust is golden and loaves sound hollow when tapped, about 45 minutes. Cool bread on rack. If you want to be super scientific, you are looking for 200 degrees F on a thermometer, or so says Caprial and John’s Kitchen, what I just happened to be watching while my bread was in the oven. I figure they probably know about these things. good dense bread. both my mom and i thought it tasted like bagels. fittingly, we smothered it with cream cheese and a drizzle of honey. Chris: Mmmm…cream cheese and honey! Glad you liked it!